Carpet Tiles are inexpensive, square, self-stick tiles that are easy to install and maintain. Carpet Tiles have become a real blessing for those who need to replace worn out, damaged or stained carpeted areas on a frequent and ongoing basis. Carpet Tiles are perfect for heavy traffic areas, areas prone to frequent spills and stains, and especially for homeowners who have accident-prone children, teens or pets. Perfect for daycare facilities, kids rooms and craft rooms! It's wonderful to be able to replace a carpet tile or two whenever necessary without having to replace the whole room or call in a professional to do the job as is common with wall to wall carpet. Almost anyone who is handy can replace a few Carpet Tiles in just a few minutes with just a few simple tools! 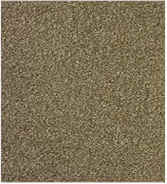 Carpet tiles are available in many colors and styles making your design possibilities endless. There are many different patterns to choose from and installation is usually quick and easy. Carpet Tiles are easily replaced as needed. Installed carpet tiles can be easily removed and replaced as necessary. Damaged, worn or stained carpet tiles can be easily replaced with a new carpet tile as needed. 18" x 18" or 24" x 24" are the most common sizes. Other sizes may be available. How do Carpet Tiles stick to the floor? Pressure Sensitive glue is most common. Sometimes spot gluing is required where necessary, or by using double-sided carpet tape. A 25-foot tape measure, simple chalk line, small straight edge, utility knife is all that's needed to install Carpet Tiles in a room. Easy installation instructions are included in every box. You may need to install a threshold or some type of transition at the doorway where the carpet tile meets another type of flooring. Depending on the type of sub-floor you have, wood or concrete, and what type of flooring material you are butting up to, will determine what type of transition you need to install. Any home improvement warehouse or local hardware store will have the transition you need for less than $10. Carpet tiles look best when installed over a smooth level surface. Make sure your sub-floor is clean, dry, smooth and free of all dust and debris prior to installation. Removing any existing flooring can be difficult and time consuming. In some cases you might be able to install the carpet tiles over the top of your old flooring material. This is mainly true with sheet vinyl flooring, old square floor tiles, so long as the material is still firmly attached to the substrate. If your floor has any problems like unevenness, holes, patches or any other leveling issues, you might need to call in a pro to tackle the initial floor preparations or at least get some expert advice as to what needs to be done before you begin laying down the new carpet tiles. Any loose flooring or tiles must be reaffixed, re-glued or removed as necessary and any uneven substrate should be filled with a suitable leveling product. Sufficient drying time for any patching products used to level the substrate is required prior to installing new carpet tiles. In the end, you want your finished floor to be level and smooth, and you want to make sure the carpet tiles stick securely to the substrate (substrate is usually plywood, particle board, gypsum or concrete). 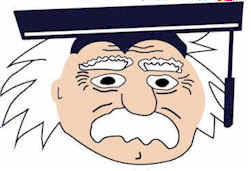 Take my free Carpet Foot Traffic Test to get your score! Only Buy From an Honest & Reputable Flooring Dealer! Scams are everywhere and it's getting harder to find a reputable carpet dealer these days! That's why I have created my own special hand-picked list of over 400 locally-owned & reputable Flooring Dealers who offer free estimates, fair prices, knowledgeable staff, honest measuring and qualified installation. See who I Recommended Near You! Why Do Some Carpets Shed and Fuzz? How Much Does Carpet Cost? How much does Carpet Installation Cost? 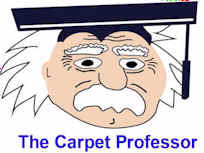 How to Make Your Carpet Last YEARS Longer What Grade of Carpet Should I Select? How To Select The Correct Carpet Padding?